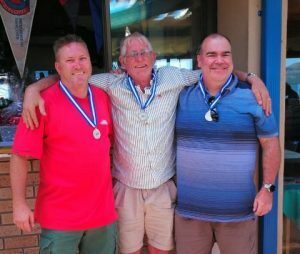 Due to the sometimes windless days and the Bridge Officers attempts to complete races, some very unfair races have been completed, affecting the series outcome. The TYC Sailing committee has, therefore, decided to include a Fair Racing Clause in the Sailing Instructions. 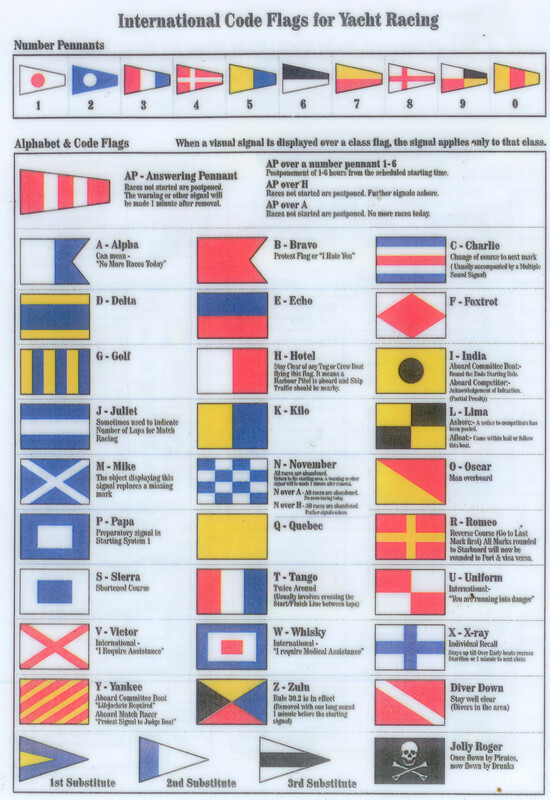 This will be applicable to all races and does not inclusive of race where the mark layers lay marks as per the sailing instructions. The Bridge Officer shall abandon a race if there is a wind shift of more than 60 degrees or if the wind speed anywhere on the course drops below 2 knots. If a wind speed instrument is not available to establish the wind speed, it will be sufficient to establish the wind speed visually. All races shall be sailed under the 2013-2016 ISAF Racing Rules of Sailing (RRS), these instructions and the rules of the classes concerned. For open events, the starting times will be indicated in the program. Where no starting time is given, refer to the Regatta Notice. All races shall be started using RRS Rule 26. The start line shall be between the start mark and the mast on the committee boat or for boats without a mast, an orange flag on the committee boat. There will be only ONE start unless the Bridge Officer, at his discretion for safety reasons only, decides to start the cruising fleet first, in which case there will be two starts. Should there be two starts then there will be a one minute gap between the starting signal of the Cruising fleet and the warning signal of the racing fleet. All yachts which do not start within 10 minutes after her starting signal, shall be deemed as not starting. If less than 3 yachts enter a race, the race will not take place and those that entered will all receive 4th place points on the results sheet. 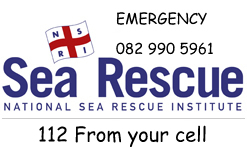 Three races may be sailed on any race day; however, no warning signal shall be made later than 16h00. Should the course be shortened with the bridge boat in the original position, the weather and or leeward mark will always remain a mark of the course and will have to be rounded before proceeding through the finish line. At the finish, the Committee Boat may display the “L” flag, which will indicate that another race will follow shortly. The marks of the course will be coloured buoys. NOTE: An additional buoy may be specified as a mark of the finishing line. In such a case this will be a mark of the course. The finish line for fixed mark courses – this shall be a line between the nearby mark of the course and the mast of the committee boat displaying a blue shape (blue light at night). The committee boat is a mark of the course for boats finishing. Races may be abandoned at the discretion of the Race officer. Any yacht which does not finish within the period of 1.75 times the first mono-hull yacht’s elapsed time for fixed mark races, or 1.75 times the first mono-hull yacht’s elapsed time for windward/leeward races in each class will be deemed not to have finished. Yachts, which finish a race, shall be presumed to have obeyed and observed all rules and sailing instructions. The skipper of a yacht retiring from a race shall notify the Bridge of the retirement if reasonably convenient. 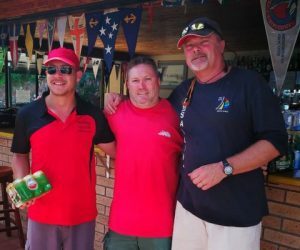 Through strict adherence to the official racing rules and the Transvaal Yacht Club Sailing Instructions, protests can be minimal. Where a protest is necessary, the Bridge Officer should be notified at the earliest convenient opportunity, after the protesting yacht crosses the finish line. The Bridge Officer shall record the protest and arrange through the NKA Judge with the protestor and the protestee to meet at The TYC cOMMITTEE not later than the following Sunday for the hearing. The protestor shall bring to that hearing the completed protest form. Mono-hull yachts with a handicap of less than 0.870 will sail 2 laps of a Windward / Leeward course and yachts with a handicap of 0.870 and above will sail 3 laps. The 2 lap yachts will have their times divided by 2 and multiplied by 3 to arrive at a standard elapsed time before the handicap is applied. 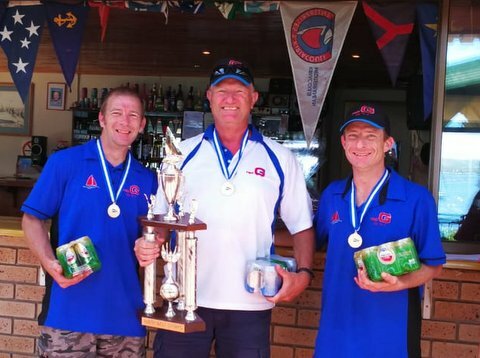 In all Series it is the boat that is entered and points are awarded to the boat. The helmsman/Skipper who has raced the majority of races in the series will be regarded as the skipper. 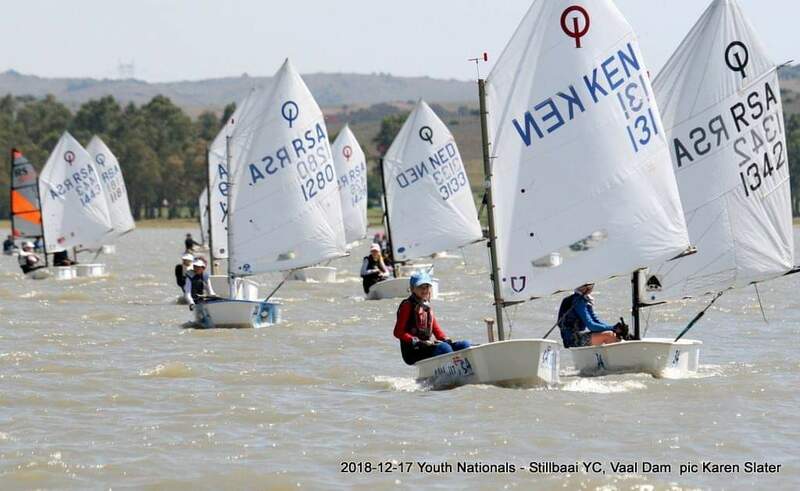 If a boat is prevented from competing in a TYC event because one or more of the crew are acting as bridge crew or mark layer, then that boat will be given average points for the series after first discarding the worst races in the series. Eg. 12 races in the series of which 3 were as Bridge Officer. Discard 1 race of the first 5 races in the series, 2 races of the first 8 races in the series, and 3 races of the first 12 races in the series thereafter average points to be given for the races left in the series. 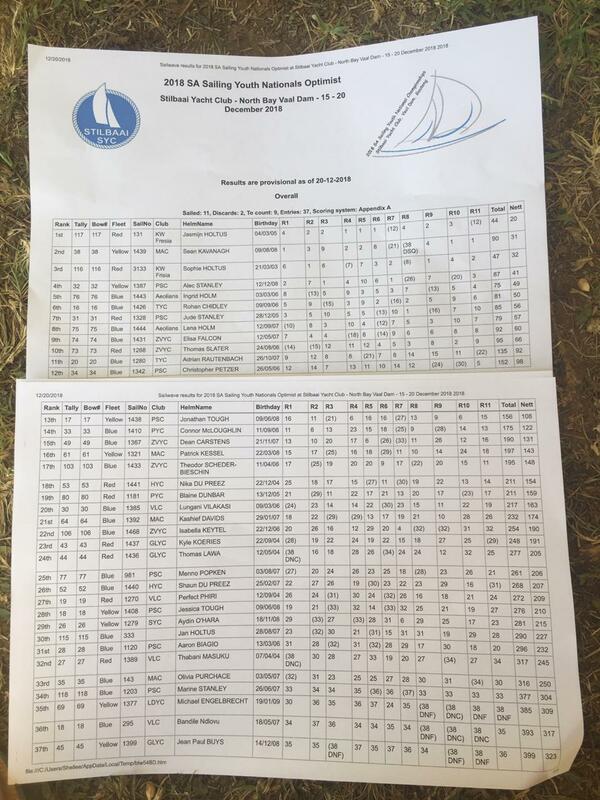 All TYC Sailing Series will be scored according to the Low Points scoring system Appendix A4.1 + A9 of the RRS. All Series Discards: 5 Races = 1 discard, 8 Races = 2 discards, 12 Races = 3 discards. The NKA Ratings time modification factor (TMF) as detailed in the following pages or as modified from time to time shall be employed in open events. THE ONUS IS ON THE COMPETITORS to ensure that the bridge crew has recorded them as entrants. This must be done prior to the warning signal. The name of the skipper, and boat should be given. Failure to ensure acknowledgement by the Bridge can result in the boat not being regarded as an entrant. In terms of Fundamental rule 3, competitors sail entirely at their own risk. None of the organizations or persons concerned with the running of the race or regatta accepts any liability for damage or injury suffered during the races, or at any other time. Except in the Single-handed races and in events whose instructions specify contrary, a minimum of two persons shall be aboard a yacht. Life Jackets must be worn throughout the race. Any Series race signaled with N over A will not be re-sailed. 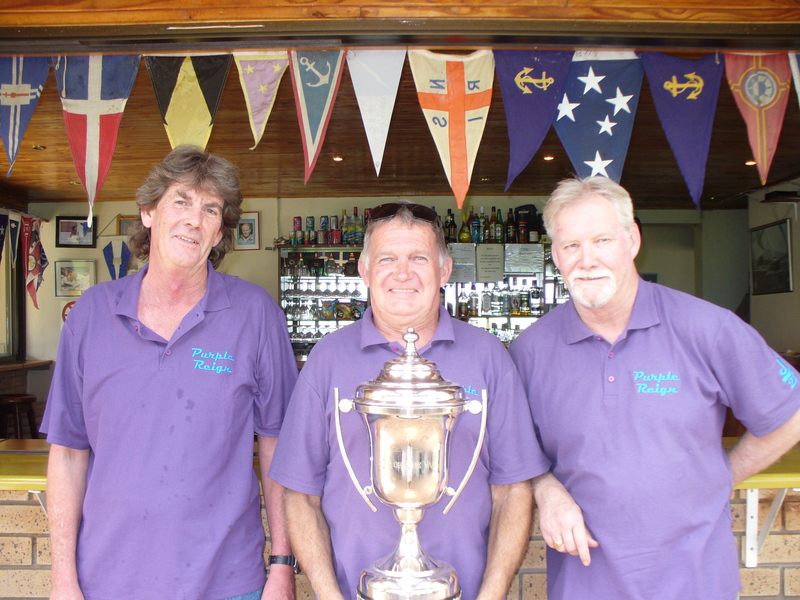 Transvaal Yacht Club shall only provide competent Bridge Officers, Crew and Mark Layers. A list of Competitors at the start area should be confirmed at the start line. Competitor lists must have the name of the boat, name of skipper and name of club. It is unreasonable to expect everyone to know this information automatically. 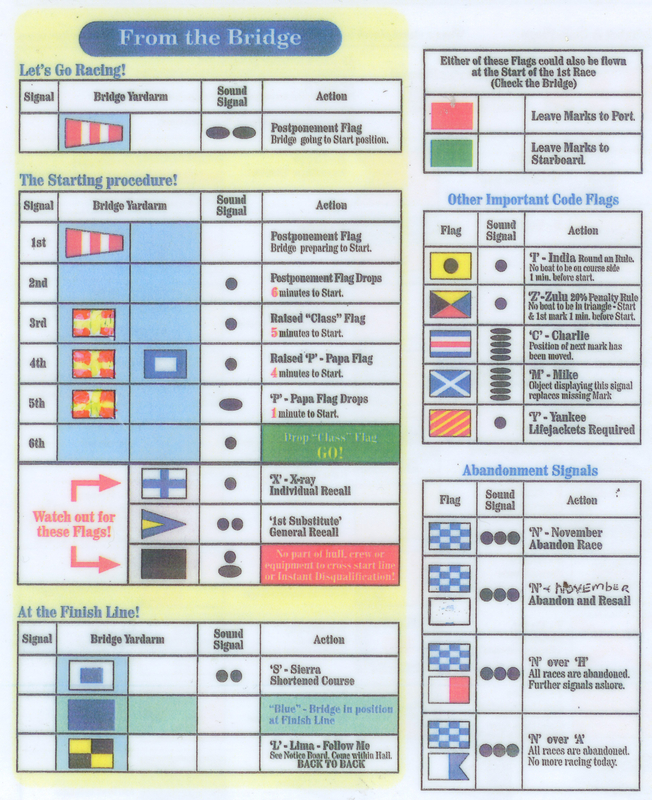 It is important for the bridge crew to ask the competitors for this information, if they do not know or have it. 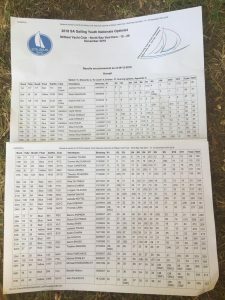 Scoring Sheets must include the name and date of the race as well as the approximate wind strength. Scorings Sheets must include the start times of the race. Score sheets must include all the competitors who participated, the number of laps per competitor if possible and their finishing status. All races recording sheets and competitor lists with the above information should be submitted to the Scorer at your earliest convenience. Committee boats and mark layers shall carry all relevant safety and first aid equipment. All official boats shall carry sufficient fuel.